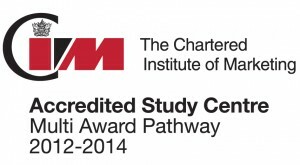 The University of Brighton’s business courses have successfully gained Chartered Institute of Marketing (CIM) accreditation meaning they have met high standards in teaching and learning. Graduates will be exempt from units counting towards CIM professional qualifications. The CIM is the leading professional body for marketers worldwide and exists to develop the marketing profession, maintain professional standards and improve the skills of marketing practitioners. CIM qualifications will provide our students with substantial credibility within the marketing field. Not only will our students end up with a business degree, but they will also have exemptions towards a recognized qualification from the world’s leading professional marketing body. Students who have chosen the required modules will gain exemptions from the CIM Professional Certificate in Marketing and the CIM Professional Diploma in Marketing.